Are you going to be traveling with little ones this holiday season? Whether you will be on airplane, in the car or stuck in a hotel room, these DIY travel boxes will keep your kids busy and entertained. Not traveling? They make great compact storage containers for small lego parts and art supplies that you want to keep away from your younger kids but want accessible to your older ones. I first saw the idea for the Lego box HERE and decided to make one for big brother since he just got a bunch of “big boy” Legos, while little brother is still using the Duplo blocks. The Art box is perfect for both boys but little brother especially loves to color and this will definitely keep him busy when we take a road trip up to Seattle next month. You can use the materials I am going to suggest or feel free to use what you have around the house. You will need a pencil case or some sort of container that has a lid that snaps shut. An empty diaper wipes container would also work! To make the lego case you will need to get a lego building plate. They come in blue or green and are sold at ToysRUs, at Lego stores, and on Amazon. To make the art case you will need chalkboard contact paper and dry erase sheets. Again, you can use what you have on hand. Have an old flimsy dry erase board that you can re-use? or some chalkboard paint? Use it! 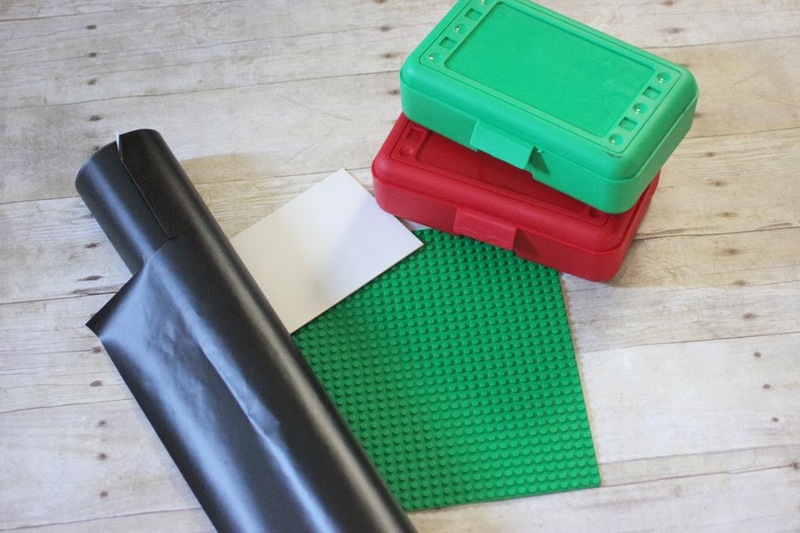 Now cut your lego plate, dry erase and chalkboard paper to fit the top and inside of your pencil case. 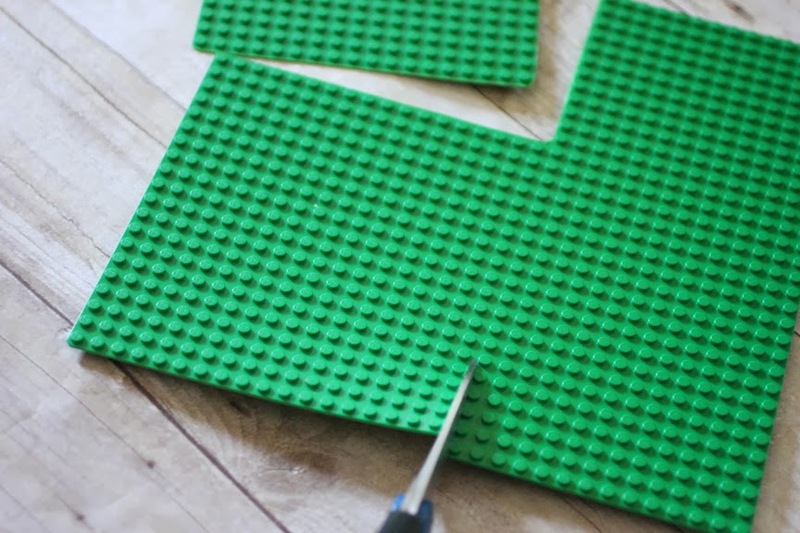 The Lego plate cuts easily with a pair of scissors! 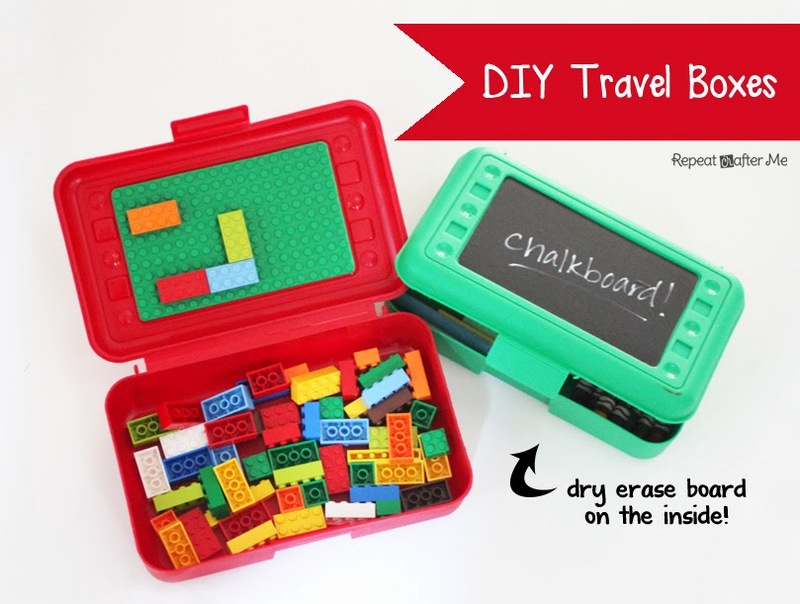 Now hot glue the lego plate pieces onto your box and stick the chalkboard and dry erase paper into place. 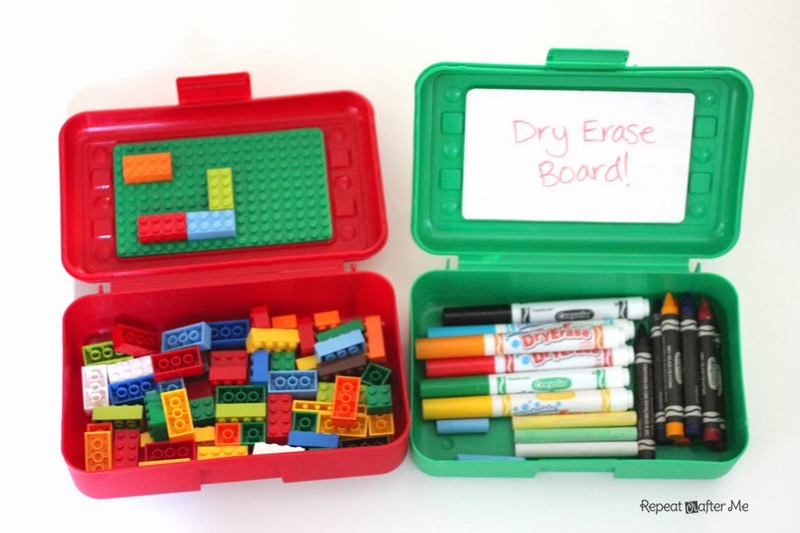 Fill lego box with legos and art box with dry erase markers, crayons and chalk. Now you’re done and ready to hit the road! This is a really smart idea.Thanks! AWESOME IDEA!!! I love you!! I seriously think you are amazing! You have the COOLEST ideas! I love this post. Love it. Wish my boys were young again, what a great idea!!!!!!!!!!!!! My kids will love the Lego travel boxes. Hi I want to make either three of four of these how much did it cost to make these? Thank you so much to share this online tutorial homepage.Now with the help of this everyone can easily change their windows Mobile ringtone.Follow this change ringtone in windows 10 mobile and enjoy with your favorite sound.